Polioptics - Episode 120, with guest A. Scott Berg, author of "WILSON"
A. Scott Berg is our guest this week. Original Air Date: September 28, 2013 on SiriusXM “POTUS” Channel 124. A president has to sell an unpopular program at home. He has had to lead a country at war, but now tries to pivot to peace. In Washington, his enemies across the aisle lobby hard against him, ginning up discontent in the capitol and rallying public opinion to their side. The president has to win it back. What does he do? Hit the road to sell his vision directly to the people. The story of Barack Obama? No, it’s Woodrow Wilson, 28th President of the United States, a man so wooden in our memory but, it turns our, deeply emotional and passionate for his cause, as Pulitzer Prize-winning author A. Scott Berg found out when he unearthed troves of hidden archival material. In 1913, 100 years ago, President Wilson was inaugurated, capping a meteoric rise that saw him the President of Princeton University just two years prior . Does the story sound similar to like rapid ascent of an Illinois State Senator? This week, it is time for the annual UN General Assembly here in New York. Leaders of so many of the nations of that body convene here, with their attendant motorcades, that midtown traffic refuses to move. 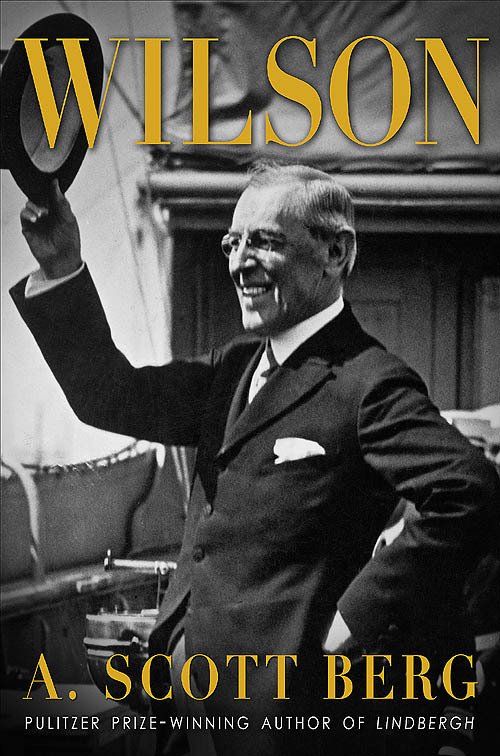 With his health, and even his life, at risk, Wilson set out in a railroad car across America to sell his plan, an epic presidential trip spanning one month and 29 cities from coast-to-coast. As someone who has planned such barnstorming with the aide of Air Force One, Marine One and motorcades and massive sound systems at every stop, it’s not an impossible feat in 2013, but try to pull that off 1919: its was, literally, a killer.